Formerly a political prison until the late 1940s, Koh Tao (literally “Turtle Island” in English) is now a relaxing island known for its great beaches and excellent diving. Smaller than the other Gulf of Thailand islands to the south, Koh Tao has a quieter, more ‘small town’ feel to it. Although diving is the island’s biggest attraction, there’s a huge range of things to do in Koh Tao. Beautiful beaches, water sports, Muay Thai, rock climbing and more make Koh Tao an excellent destination for anyone that likes the outdoors. 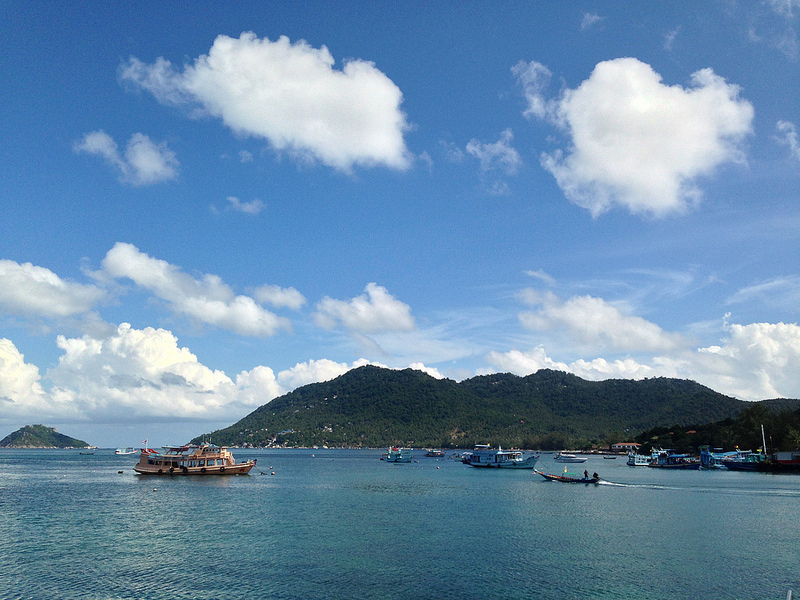 Koh Tao’s busiest area, Mae Haad is where you’ll step off the ferry from Chumphon or Koh Samui. A mix of restaurants, bars and useful shops make Mae Haad a fun place to go out at night, although most of the island’s nightlife is in nearby Sairee Beach. Sairee Beach is Koh Tao’s most popular beach. Lined with bars, restaurants and dive shops, this is where you’ll find most of Koh Tao’s nightlife. Accommodation ranges from cheap and simple backpacker bungalows to a selection of mid range resorts. Located to the south of Mae Haad, Chalok Baan Kao is a quiet beach resort that’s home to a selection of restaurants and resorts. Crystal clear shallow water makes this bay a better place to relax and sunbathe than swim. Mango Bay is a quiet, rocky and beautiful bay located on Koh Tao’s northern coast. Although this beach has little in the way of white sand, its large rock formations and deep water make it one of the best beaches in Koh Tao for snorkelling. Koh Nang Yuan is a small island — technically several islands connected by a sandy isthmus — located a short distance from Koh Tao’s northwest coast. Stunningly beautiful, it’s a popular day trip destination for tourists, snorkellers and divers. Most of Koh Tao’s development is centred around the beaches on the western coast. On the island’s eastern coast, you’ll find a selection of quiet and relatively undeveloped beaches that are fantastic for snorkelling or relaxing with a good book. Use the search box below to find out departure times and prices on your selected travel dates to Koh Tao. 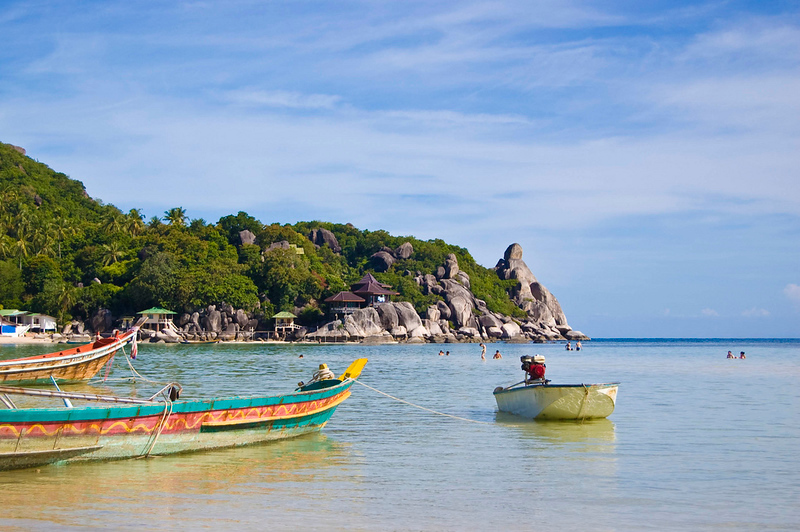 Koh Tao is one of Thailand’s most famous diving locations, particularly for beginners. Numerous dive shops operate on the island offering everything from PADI beginner courses to night dives and liveaboard diving trips, often at better prices than what you’d find on Koh Samui or Koh Phangan. Many of Koh Tao’s beaches have rock formations and reefs that make snorkelling right off the beach possible. For better visibility and a more diverse range of sea life, book a snorkelling tour from one of the island’s numerous tour operators. 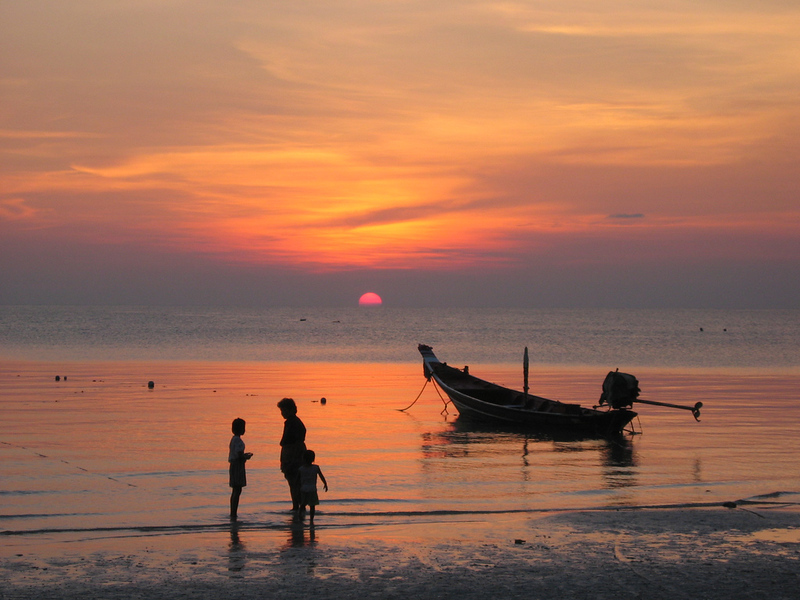 Koh Tao’s beaches are more laid back and less developed than those on Koh Samui. From popular Sairee Beach to the island’s less crowded east coast beaches, pack your swimsuit and spend your holiday on Koh Tao enjoying the sunshine. 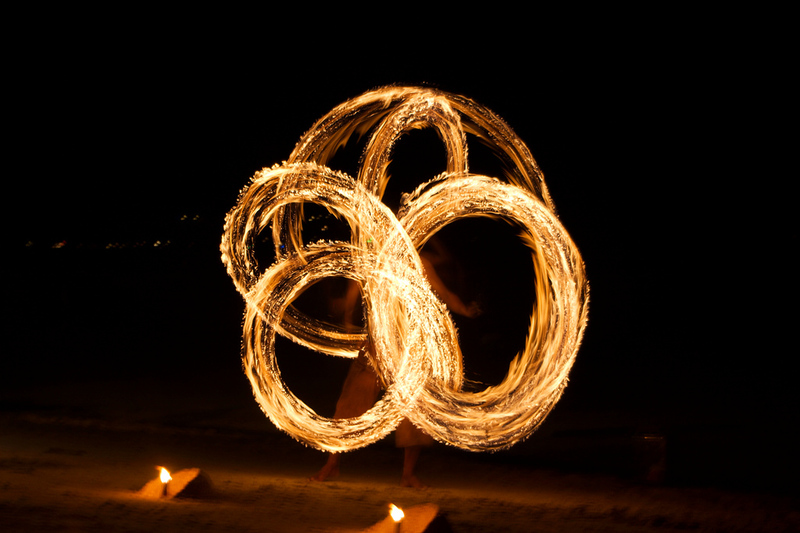 Koh Tao attracts a fairly young crowd, and Sairee Beach has several events pretty much every night. It’s great fun to stroll along the beach and visit beach bars, nightclubs and eateries side by side facing the ocean, as well as explore the bars and restaurants of adjoining Sairee Village too. It’s also easy to escape the party crowds by staying on one of Koh Tao’s quieter beaches. Rocky cliffs and boulders make Koh Tao one of the best destinations in Southern Thailand for climbers. There’s also numerous jungle trails to explore that lead up to magnificent views over the island and ocean.Good Time Adventures offers a range of courses and tours aimed at beginner climbers and experts alike. There are several Muay Thai gyms on Koh Tao offering everything from beginner training to private coaching. Island Muay Thai and Monsoon Gym and Fight Club, both in Sairee Beach, offer everything from Muay Thai classes to capoeira and jiu-jitsu. One of Thailand’s best resorts for spa therapy and treatments is Jamahkiri, which is perched above beautiful Jansom Bay built into the very rocks of the jungle cliff. There are numerous other places on Koh Tao for massage and other relaxation therapies, but Jamahkiri has consistently remained the best for years. Monkey Flower Villas offers a selection of stylish and luxurious private villas ideal for couples, families and groups. From the two-person Lower Villa Suite to the huge 12-person Gardenia Villa, all villas feature modern furniture and many boast private swimming pools. Located on Koh Tao’s quiet and less developed southern coast, Jamahkiri Spa and Resort is a beautiful four-star hotel offering stunning views of the Gulf of Thailand. Spacious rooms, an impressive outdoor swimming pool and luxurious spa make this a wonderful place to stay. Built on a hill overlooking Mae Haad, Koh Tao Bamboo Huts offers a range of comfortable bamboo bungalows and villas. A cliffside swimming pool and open air spa make this one of the island’s best resorts for rest and relaxation. Sensi Paradise Beach Resort’s spacious, homely rooms make it one of the best mid range resorts around Mae Haad. Seaside dining and a short walk to the beach make this a great accommodation choice for people that value a great view. Thalassa Hotel offers a selection of modern, clean and minimalistic rooms close to Sairee Beach. Although the hotel’s facilities are minimal, its comfortable rooms and great location make it one of the best choices in the area. View Point Resort offers a selection of private pool villas offering fantastic views over Koh Tao and the Gulf of Thailand. Located on a quiet hill near Baan Kao, View Point Resort is a short distance from the island’s other popular beaches and attractions. Aukotan Place Hotel is a clean, modern and comfortable budget hotel located approximately 10 minutes away from Baan Kao on foot. Double and twin rooms are available, both of which are clean and tastefully decorated. Chaantalay Hotel’s clean and modern rooms make it one of the best budget hotels in Sairee Beach. Fairly priced and conveniently located, the hotel is about 10 minutes walk from most of Sairee’s beachfront nightlife. With a convenient location close to the pier in Mae Haad, Neptune Guesthouse is one of the best budget guesthouses in Koh Tao. A selection of dorm beds and private rooms, along with a large outdoor rest and relaxation area, make this hostel a cost effective and cosy choice. Located in Sairee Village, The Gallery Restaurant serves a selection of delicious homemade Thai meals as well as a great range of drinks. FIZZ Beachlounge is a beachfront bar and restaurant located on Sairee Beach. Dishes range from classic Thai food to decadent Western desserts. With a hillside location and beautiful sea views, Jamahkiri is one of Koh Tao’s best places to enjoy Thai food and escape the noise of Mae Haad and Sairee Village. Starlight offers some of the best romantic dining in Koh Tao. Beautiful sea views and relaxed cushion seating make this a great place to enjoy dinner and drinks. Taste of Home is a great place to enjoy a break from Thai food. From spaghetti to schnitzel, this pan-European restaurant serves a selection of classic Western dishes. K.P. Food serves delicious homemade Thai food in a simple roadside setting. Most dishes are tasty and inexpensive, making this a great choice for a cheap and cheerful dinner with friends. 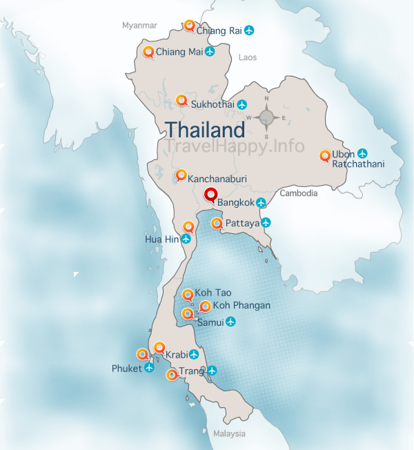 The nearest airport to Koh Tao is Koh Samui International Airport. Check Skyscanner to compare airlines for the best prices and flight times to Koh Samui International Airport. There is no airport on Koh Tao, but the island is easy to access by boat. The Lomprayah Catamaran, which gets to Koh Tao in approximately 75 minutes, departs at 7 am and 1 pm and costs 600 baht per person. The Songsern Express Boat takes around 150 minutes to reach Koh Tao and departs from Chumphon daily at 7 am. Ferry services from Surat Thani to Koh Tao are available. Ferries depart from Donsak Pier, which is accessible by bus from Surat Thani Airport. Combined bus and ferry tickets can be purchased at Surat Thani Airport. 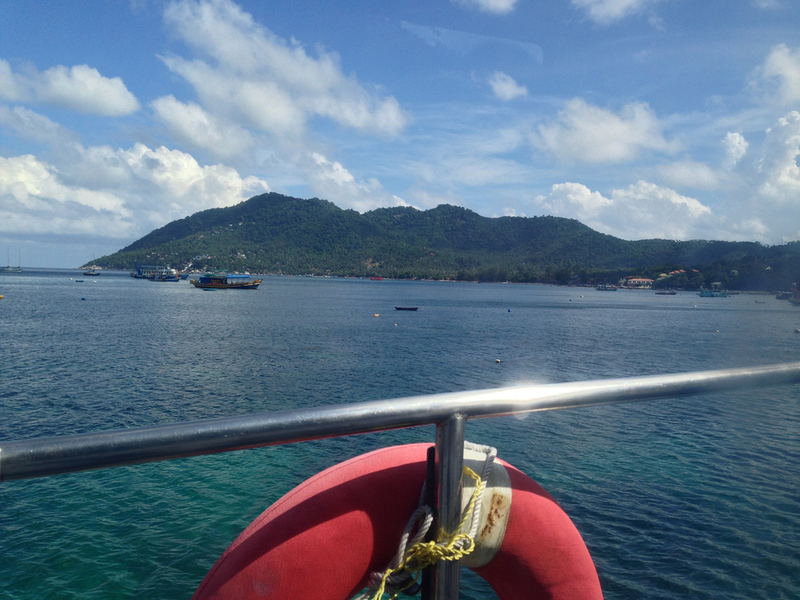 Lomprayah High Speed Catamaran and Seatran also offer ferry services between Koh Tao, Koh Samui and Koh Phangan. Ferries operate twice daily, with tickets available from travel agencies on all three islands.